Samsung has announced a new smart phone called Samsung Galaxy W. Galaxy W is for the customer who can’t able to afford the Samsung’s flagship of 2011 Galaxy SII. It is a mid-range Android Smartphone with high-end features. It has a 3.7-inch S-LCD has 480x800 pixel resolution this gives clear and crisp image. But can’t afford the brightness, contrast ratio and viewing angle as good as Samsung’s Super AMOLED display and still it can stand alone in LCD families. Galaxy W is a mid-range phone still it has single-core 1.4GHz processor as in the Samsung Galaxy S plus and Sony Ericsson Arc S. With these processor apps runs faster and smoother and you experience a fast and silky web browsing. 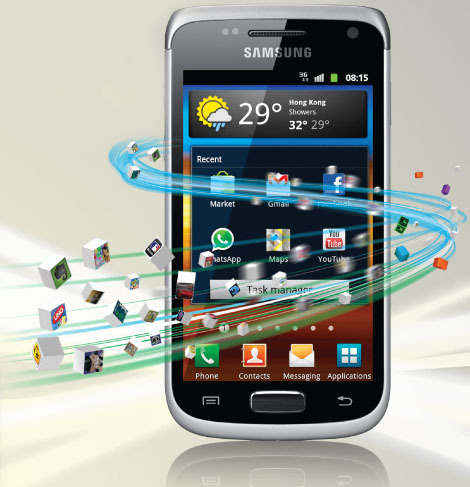 It runs the latest Android 2.3.5(Gingerbread) OS with latest Touch Wiz to provide you a better user experience. Touch Wiz has five customizable home screen and pinch zoom to view it all in one screen. Android Market has more than 250000 free and paid apps. But Unfortunately Galaxy W won’t taste the Androids latest OS Android 4.0(Ice Cream Sandwich). 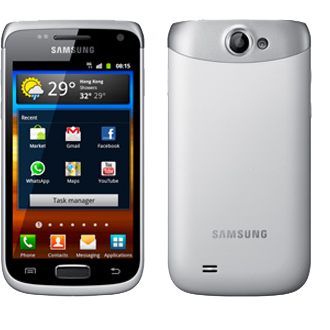 Samsung Galaxy W has a 5-mega-pixel snapper camera with LED flash, autofocus, GEO-tagging, face and smile detection and record 720p HD video. And front facing VGA camera for video calling. It has all high end connectivity like Bluetooth 3.0+HS, Wi-Fi, DLNA support, Wi-Fi hotspot and high speed 3G radio. Sony Ericsson just released the Android running walkman to the Global market. W8 promises to deliver outstanding audio performance while being an affordable entry-level Android device (not the latest version but only the old Android 2.1 Éclair). It basically looks like a Xperia X8 but it is differently colored with walkman logo slapped on it. It has 3” scratch resistance capacitive touch screen with resolution of 320x480 pixels and TFT LCD display should display a spectrum of 16 million colors. You can browse the web using Wi-Fi or it’s using it 3G radio which theoretically could handle speed of up to 7.2Mbps for downlink and 2.0Mbps for uplink. 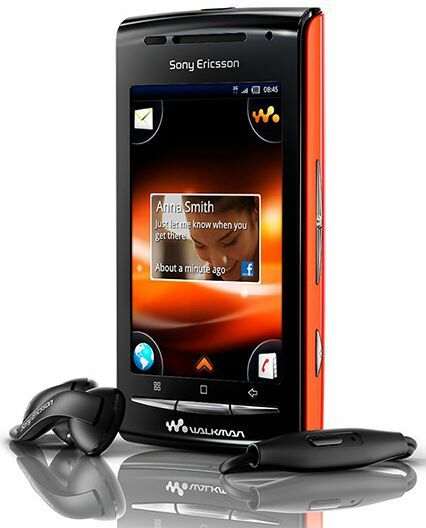 Sony Ericsson W8 comes with a Timescape UI which lets all your facebook and twitter on the one place. The virtual on-screen keyboard with better spacing will make typing a breeze. Since it’s a music oriented phone it has 3.2MP camera and capture VGA quality video @30fps.It comes with a 2GB microSD card pre-installed and a premium quality headset which makes W8 won the game of music performance.